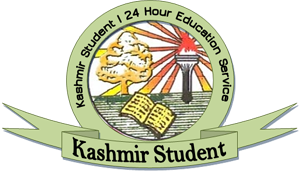 The Kashmir University will begin the admissions for the academic session 2012 from February 15, except for "MBA, MFC, IMBA, B.Tech, BA .LLB, LLM, B Pharma and M Pharma", a KU handout said. This, it said, was disclosed by Prof A M Shah, the Dean Academic Affairs KU at a meeting held here. He said the "admission process would will be online and students can fill up their forms from anywhere and deposit fees for the same from any of the branches of the J&K Bank across the country." "But the candidates shall have to deposit downloaded copy of the application form along with necessary documents in any of the designated IT centres established in various degree colleges or in the university campuses," the Dean added. "The issuance of prospects and the submission of online forms shall begin from 15th of this month and the last date for the same would be 24th of February." "The students applying under reserved categories have necessarily to deposit their hard copies of admission forms at the main or north and the south campuses only." The KU PRO said: "The students have to compulsorily purchase a hardcopy of the prospects 2012 bearing a distinct serial number against a cash payment of Rs 250 at designated Sale Counters and IT Centres of the University of Kashmir." "The candidates are advised to follow the steps carefully mentioned in the admission notice and the prospects already uploaded while submitting the online forms and their hard copies. 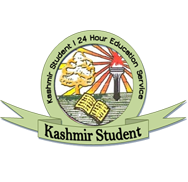 The students are advised to be in touch with our university website www.kashmiruniversity.ac.in and www.kashmiruniversity.net ," he added.